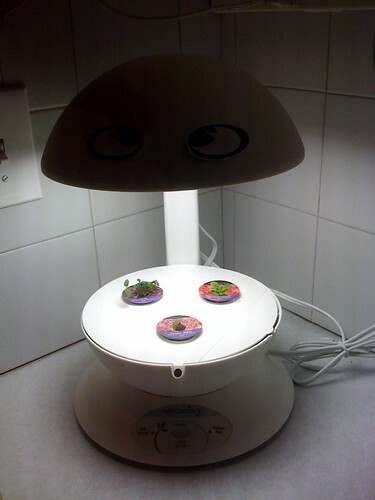 For my birthday, back in October, gerg hooked this gal up with a SWEET AeroGarden® 3 Pod. At half the size of the AeroGarden Classic, the AeroGarden 3 is perfect for kitchens that are tight on counter space. 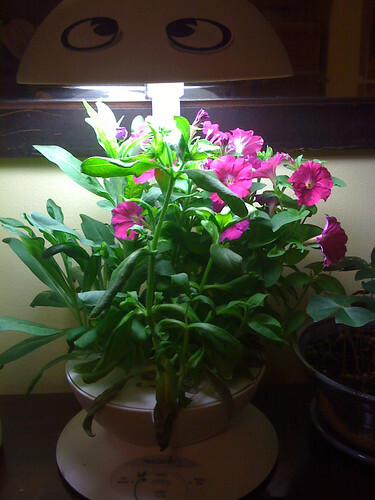 It's great as a “living flower bouquet” on a dresser or desk, or if you're cooking for just one or two people. The new Advanced Growing System achieves up to 30% greater growth than the AeroGarden Classic. You can grow fresh herbs, vegetables, salad greens and flowers with the “3”, just like the Classic. 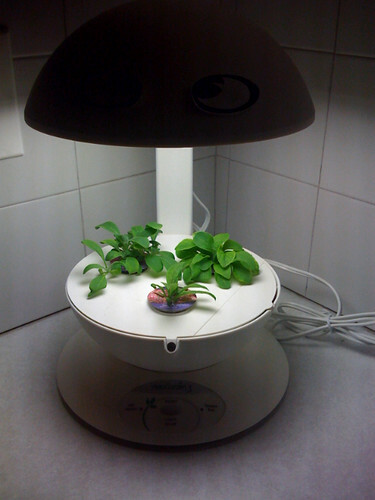 My AeroGarden® 3 Pod came with the English Garden flower kit, and I've also got some vegetables that I can plant after the flowers are done. I started with the flower kit in October because I thought it would be nice to have flowers growing indoors in the middle of winter. We now have beautiful pink blooms, and I couldn't be happier with how easy and effective this little machine is. Fill it with water about once per week, add a bizarre "nutrient tablet" when the machine tells you to, and watch it go. 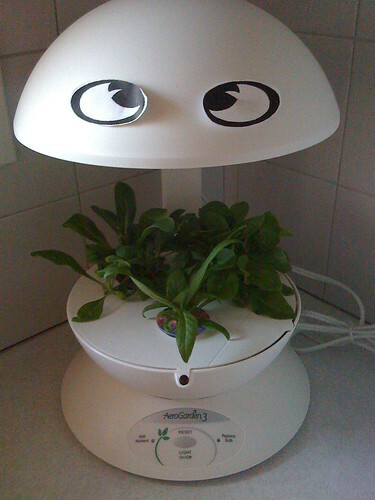 My AeroGarden® 3 was customized with googly eyes by gerg, which makes it even awesomer. 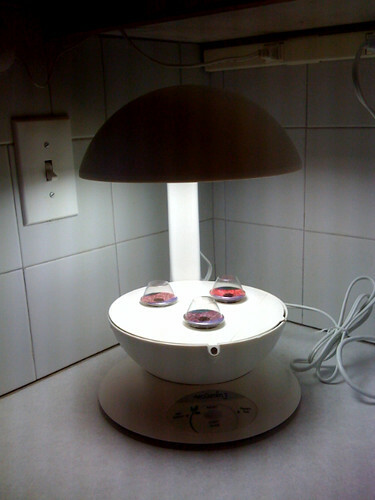 Eventually, I decided to take advantage of the powerful growing light by placing some of my other house plants near the AeroGarden® 3 Pod. They have benefited tremendously from the spillover light. Day 61 - Blossom Explosion!!!! OMG! How spectacular! I love your "time lapse" photos! The plants look great!